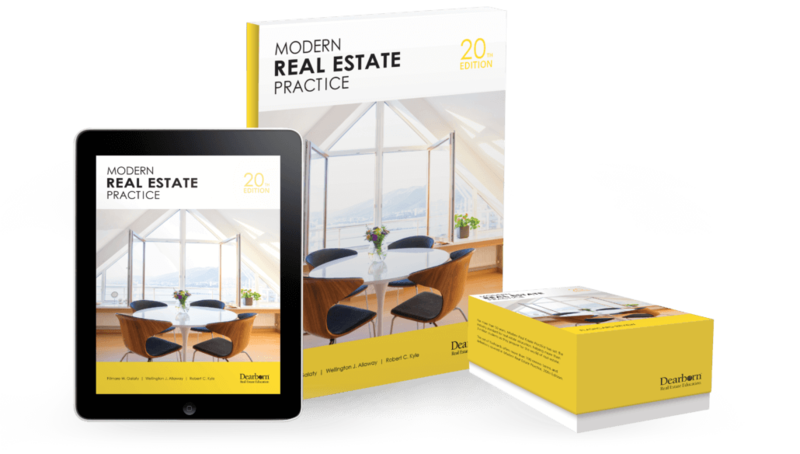 Dearborn Real Estate Education is very excited to announce the release of Modern Real Estate Practice, 20th Edition. With the release of this new edition, Dearborn’s flagship collection continues to set the standard of excellence for real estate prelicensing education. This latest edition has some exciting new features and products, and it has been updated to maintain current legislation and market information. Whether you are a student or instructor, you can trust Dearborn to help you succeed with over 50 years of experience in real estate education! Learn more about this title at our bookstore. Learn more about Dearborn’s flagship collection!